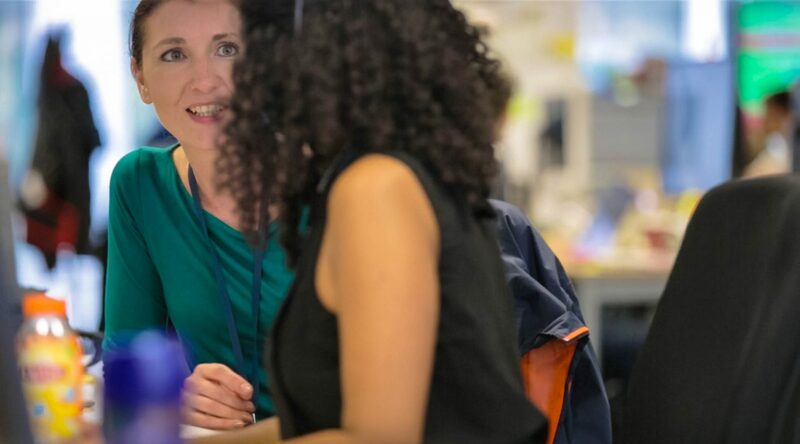 I recently joined the Cabinet Office at Government Digital Service (GDS), in the GOV.UK Verify Policy and Engagement Team, as an Engagement Lead, working on a part-time basis. All Cabinet Office jobs are advertised as open to part-time/job-share applicants and this is a great start: I have never applied for a job that wasn't advertised in this way - as a result, I’ve applied for just three jobs in the past eight years. I had worked part-time in Local Government for nine years previously, on a wide range of projects and programmes and with increasing responsibility, so I can attest that, with the right support and attitude, just about any role can be delivered within a flexible working pattern. I felt ready for a change, and I had been avidly watching the work of GDS for some years, so was delighted when the opportunity to join GDS arose. My working pattern is three days in the office and a day working from home, split over Thursday and Friday. Because of the excellent technology available within the Cabinet Office, I can stay in touch with my colleagues and attend team meetings remotely. Indeed, much of my work is currently with DVLA in Swansea, so working in remote or virtual teams is a normal part of the role. My role is to ensure communication with different teams is effective and timely - whether it's with teams located in Swansea, or teams located on a different floor at GDS’ offices in London, and the delivery of successful projects is testament to our success. So my message is this: we have the technology to make working together, regardless of location or working arrangements, as easy as it's ever been. We just need to do it, and I'm very happy to get on with proving the point. If you’d like to know more please visit the part-time and flexible working pages on GOV.UK. For more info on GOV.UK Verify read the blog. What Technology are you using to enable this? Beyond the laptop and mobile, the tools used include instant messaging and video calls - google hangouts for example. Collaboration tools that organise projects into work-flow boards and chat room software based upon projects and discussion areas are also a way of helping teams stay connected in real-time. But it's not just about the technology - it's about having a shared commitment from everyone to communicate in this way. The Google suite makes this so much easier than anything else I've worked with! It definitely need cultural and behavioural work too though. I'm glad its working for you, Kirsty!